Welcome to Presque Isle, Maine! The Presque Isle Industrial Council (PIIC) was created by the City of Presque Isle on July 5th, 1961 as a separate legal entity from the City of Presque Isle. 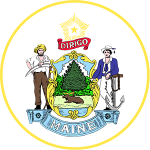 Our mission is to establish and implement economic development programs which attract new businesses and industry to the City of Presque Isle, Maine. The PIIC works with existing businesses and other economic development organizations to create new employment opportunities and retain jobs for the community. We are responsible for the Management & Development of Skyway Industrial Park. We also assist with construction and/or renovations for Skyway Industrial Park tenants and maintains the grounds of Skyway Industrial Park. The Park consists of over 440 acres of land in Presque Isle that is ideally suited to business and industrial facilities. The park is permitted by the Maine Department of Environmental Protection for development and is served by all utilities. Land and buildings are available for lease or purchase. The Park is located adjacent to the Presque Isle International Airport, General Aviation, and the railroad.